How can the predatory nature of development efforts be tamed? Many rural communities in low income countries are fed up with the predatory nature of external development initiatives. According to the WordWeb dictionary, a predatory animal is one that lives by catching and preying on other animals. Predatory tendencies also include living by or victimizing others for personal gain. When development agencies move into rural areas, local communities often have no reason to suspect that such agencies have a predatory agenda. Suspicions start rising when development agencies continue to recycle the same ideas under different names when rural people who continue to wallow in poverty in spite of millions spent in their name by development agencies. Any development agency that has spent more than three years in one community has become a predator by becoming part of the local community furniture. A simple comparison between rural communities that have been working with NGOs for years and those that have not been working with NGOs reveals marked differences in terms of autonomy and self-determination. Very few communities have transformed from subsistence to commercial agriculture through development interventions. Instead, it is communities that rely on their own resources such as remittances that have a sustained presence in agricultural markets. Those supported by NGOs often stop producing surplus commodities for the market as soon as a development project comes to an end. To the extent development agencies use rural communities to get money and not fully develop those communities, such predatory tendencies are worse than money laundering. Unknown to development agencies is that rural people desire the good houses, health and nutrition associated with cities. Predatory patterns are more prevalent in rural finance initiatives. While it is said funding targeted at improving rural finance has increase, the majority of rural people remain outside formal financial ecosystems. In fact, the majority of rural dwellers associate banks and other financial institutions with exclusion rather than inclusion. 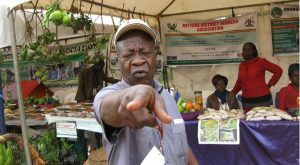 Many smallholder farmers, traders and rural entrepreneurs have nasty experiences with financial institutions. Some of the financial inclusion models have been introduced as contract farming arrangements where farmers receive inputs and other support services instead of real money. Innocence and decency has proven fatal for most borrowers as they soon realize that private companies contractors working in cahoots with financial institutions and development agencies will have calculated their gains using tools whose underlying parameters are not made visible to farmers. “When you think you have done what is needed, you are asked to provide more information. After signing off every document, most promises are not met and you are compelled to supplement agricultural activities with your other income sources.” The above lamentation is now common across Africa. In several conferences and workshops, commitments to avail finance that can catalyze other sources of finance at the local level have been announced and documented for decades. There are even dozens of books and university courses on rural finance but on the ground the situation has remained the same. Local innovations like village savings and lending associations are not adequately used to anchor and stimulate local economies. Instead, such bedrocks of self-reliance and resilience are being cannibalized into mobile money through ICTs. This does not improve financial circulation in the local economy as most of the money is drawn away to big cities, leaving the local economy resorting to traditional barter systems. If development agencies and financial institutions shunned predatory tendencies, they would be able to assist local communities in generating more income and better lives from local resources. They would realize that there is a difference between charity and transforming local communities through agriculture. They would also not waste money on policy making because they would know that policies can only go so far because they are tied to political regimes. No matter how brilliant a policy document is, a new political regime would dumb it and creates its own policies. They would learn from experiences in Mozambique where a development agency that thought mobile money was the solution was surprised. A local mobile network operator in Mozambique had even distributed 5000 mobile phones for free to a local community hoping people would automatically embrace mobile technology for financial inclusion. It soon became clear that local people preferred visiting the market and chatting to each other than just communicating through short message service, Whatsapp or calling over the phone. Many people also changed sim cards frequently such that they could not be reachable. Evidence should come from different scenarios and not be aligned with decision-makers’ needs. For instance, while millions of dollars have gone towards addressing post-harvest losses in Africa, food losses are said to be as high as 20% in developed countries, mainly in the form of food that is thrown away into bins and not eaten. This means all people, whether in developed or developing countries need a new attitude towards food. Perhaps the whole world does not have a food production problem but a food handling challenge. Solutions may not just be about policies but changing the way everyone looks at food through institutions, financial means and other positive practices. Post-harvest technologies are never enough because new challenges keep emerging. Every action must be sustainable. By treating smallholder farmers and rural people as victims or beneficiaries, most development interventions miss local people’s roles as active economic actors in their own right. Rural people are not just waiting for donations but busy analyzing their options, managing risks and making their own decisions even in the face of information asymmetries and unfavorable policies. When ordinary people finally realize that they have been preyed upon by government departments, financial institutions and development agencies, it becomes difficult to get new ideas accepted. There are limits to living by preying on unsuspecting farmers and rural people. This entry was posted in agri-bussiness, Agricultural Intelligence, Agricultural Markets, eMKambo, https://oxfamblogs.org/fp2p/why-we-finally-need-to-face-up-to-information-fatigue-in-2019-and-3-ways-to-do-it/, ICTs and agriculture, Knowledge Transfer Africa, zimbabwe agriculture. Bookmark the permalink.